My blog entries have lapsed since the summer while I have attempted to press on with various projects to tie up as much as possible by the end of the year. Meanwhile, my collaborators and I have had three papers published. In Broad-scale recombination patterns underlying proper disjunction in humans, Adi Alon and colleagues have used a large Hutterite pedigree to test two molecular hypotheses in a statistical genetics fashion. Crossing-over is important for proper segregation of chromosomes during meiosis. 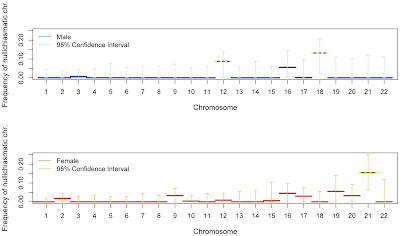 When chromosomes fail to segregate properly, the result is aneuploidy, a genetic pathology underlying many inherited diseases; for example, aneuploidy at chromosome 21 is often the basis of Down's syndrome. It has been suggested that a hard limit of at least one crossover per chromosome is necessary for correct disjunction; others have suggested the requirement is for one crossover per chromosome arm. 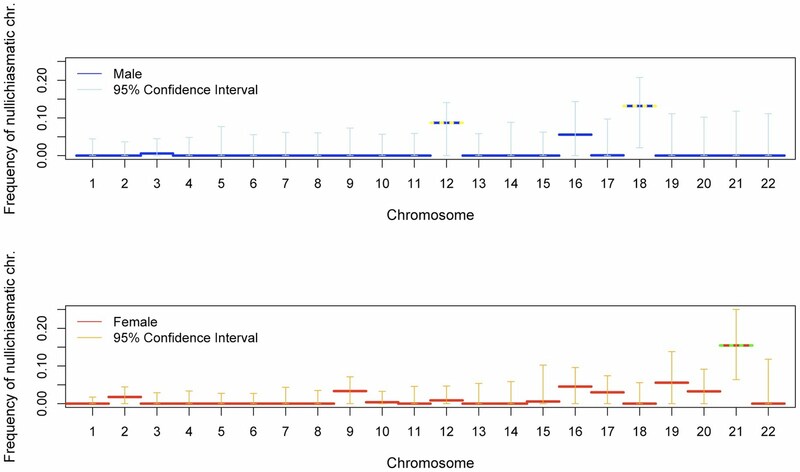 By reconstructing the probable distribution of the number of crossovers during meiosis, we were able to show that proper disjunction frequently occurs in humans in the absence of a crossover every chromosome arm. Further, the evidence suggested that successful segregation of some chromosomes can occur without a crossover at all - interestingly chromosome 21 was flagged up among others. This leads to the question, is there a back-up cellular mechanism to rescue meiotic division when crossovers fail to form?